One of the defining features of humanity is curiosity. We are actutely aware of our presence in time and space, and the multitude of things around us. But we don’t just observe the world: we seek to interact with it. The desire to interact with our world is what pushes us to create more and better tools to overcome the limits of our anatomy and allows us to more deeply expereince the space we’re in. Once a year, over five days, the Wheels & Waves event celebrates a few of the most enjoyable ways humans have found to engage with our planet: surfing and riding motorcycles. 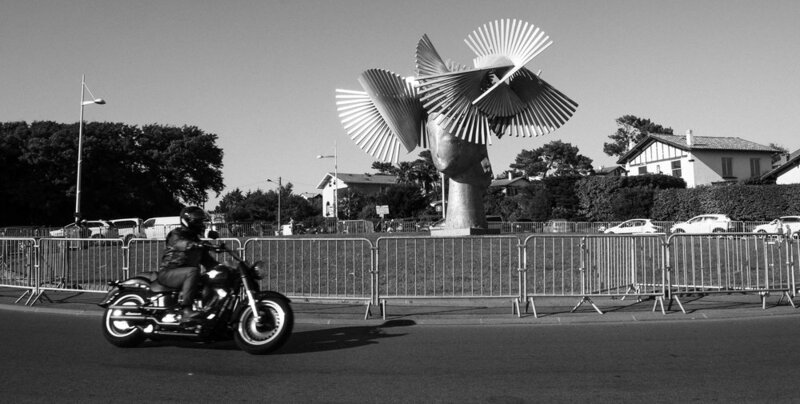 Being in Biarritz, France, during Wheels & Waves is an intense experience. With attendance close to 20,000, it seems like all the motorcycles in Europe have found their way to the south of France. Morevover, these are bikers who are active riders. Clean motorcycles are rare, and polished ones even rarer. 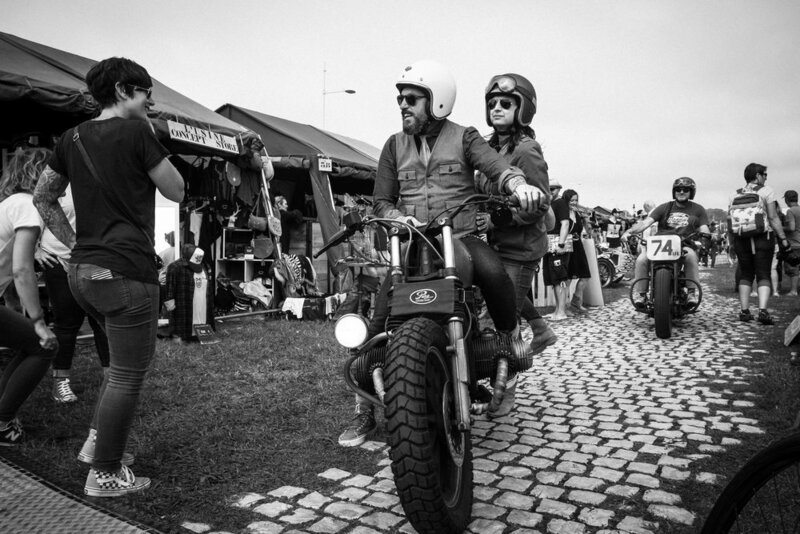 The attendees at Wheels & Waves are about the ride far more than they are about the machine. The event is based on the grounds of Cite de l’Ocean et du Surf. Skateboarding and surfing take place there, but other events are in various locations in both France and Spain. In keeping with its themes, it’s difficult, if not impossible, to enjoy Wheels & Waves without a motorcycle. It’s an immersive experience, set up to entice participation. It’s through participation that the ties between riding motorbikes and surfing in the ocean become obvious: the thrill of taking potential energy and making it kinetic. Whether it’s the rolling mountains of the Pyrennes or the rolling waves at La Milady, the experience is the same—using the ingenuity of human invention to allow us to dive into experiencing the phsyical world in which we live. 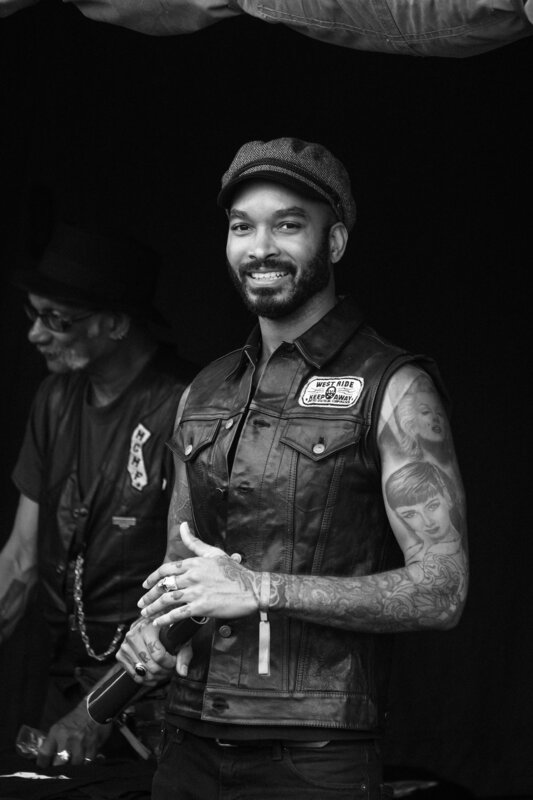 There is no other other event like Wheels & Waves becasue it does what no other does: it elevates the rider above the event itself, and gives riders a great space in which to dive into the world. For five days, the world is winding waves and rolling roads. For five days, the world is taken over by bikers and surfers. For five glorious days in June, there goes the neighborhood.